Exporter of a wide range of products which include cylinder honing machine for automotive industry and hydraulic honing machine. We are one of the most acknowledged manufacturers, suppliers and exporters of high-quality Cylinder Honing Machine. 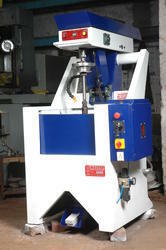 These machines are designed and developed using high-quality raw materials and precision engineered components. One can avail these products at industry leading prices. We have used 10 S W gauge sheet for the construction of the cabinet of our machine. Owing to its proper paint, our product is sturdy and durable. MI-550 master pneumatic cylinder honing machine is dimensionally accurate. Also, it possesses an ideal cross-hatch pattern in the bores of the engine cylinder body and sleeve. The conventional vitrified or abrasives of our product can be interchanged easily that helps end to end linear movement on linear bearings. They are available in variable and controllable speed. Any desired RPM and rate can be dialed any time. Also, honing cradle of the machine can be indexed for accurate alignment of inline and 60º or 90º V'S. 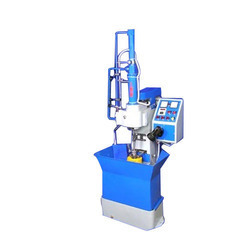 Looking for Honing Machine ?